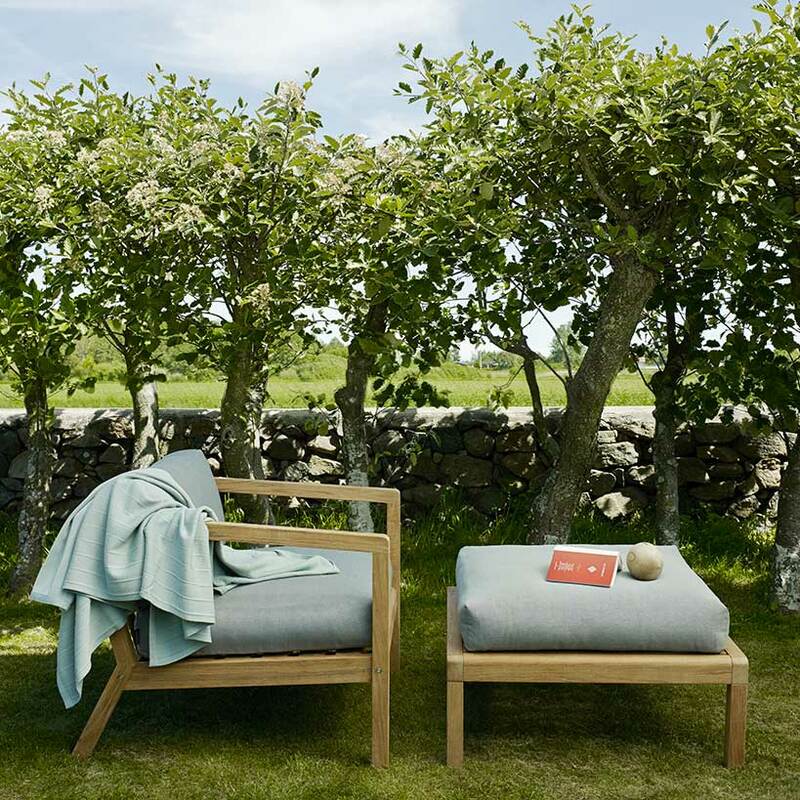 All Skagerak teak designs are made of untreated teak, whether they are for outdoor use or indoor. 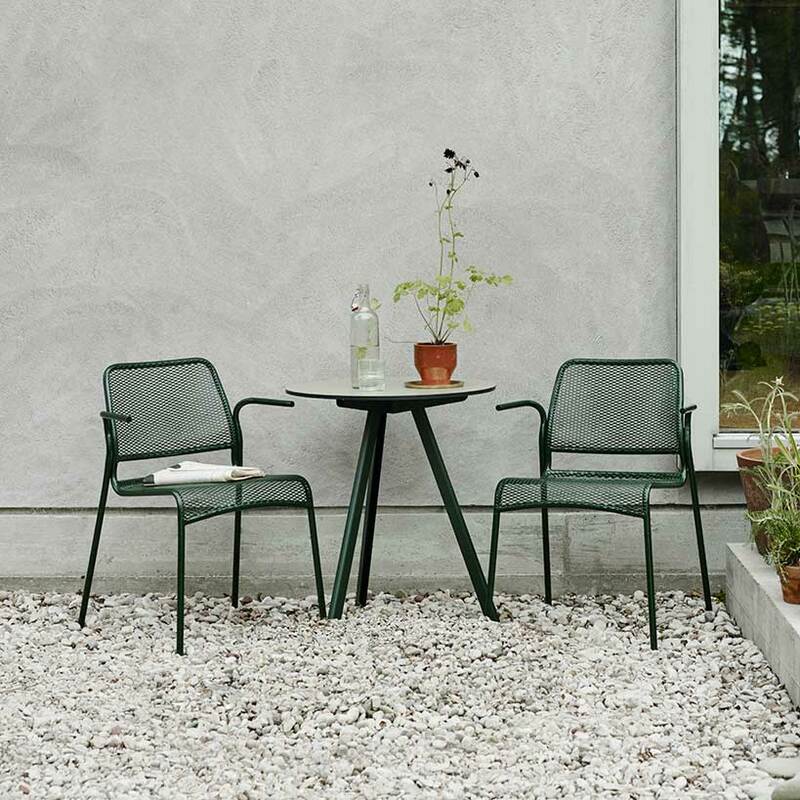 Used outdoors the wood will gradually patinate into a silver-grey surface. 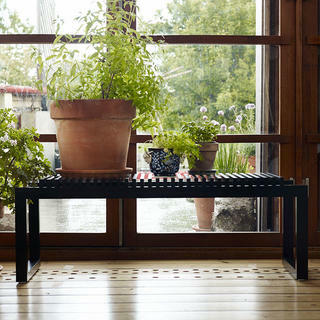 The wood will be resistant to rot and fungal infections. The furniture can stay outdoors all year round, but we recommend winter storage where possible in an unheated room, such as a garage or a basement room to prolong the life. 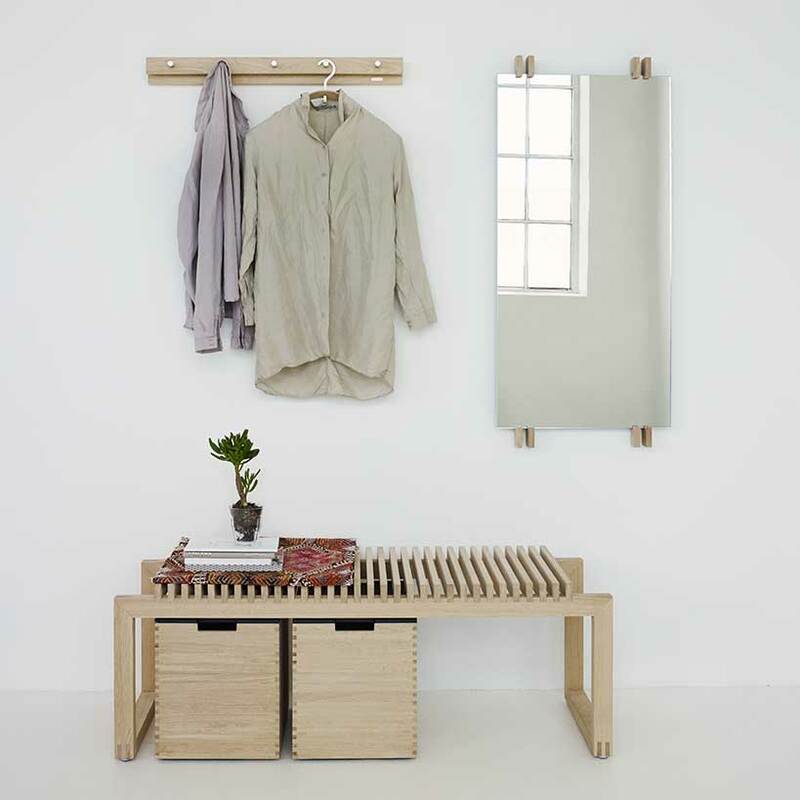 Our oak designs are all made of untreated oak and their natural colours and nuances will therefore change over time. To increase the resistance to grease and colour agents that can affect the surface of the wood, we recommend regular treatment with Natural Soap. 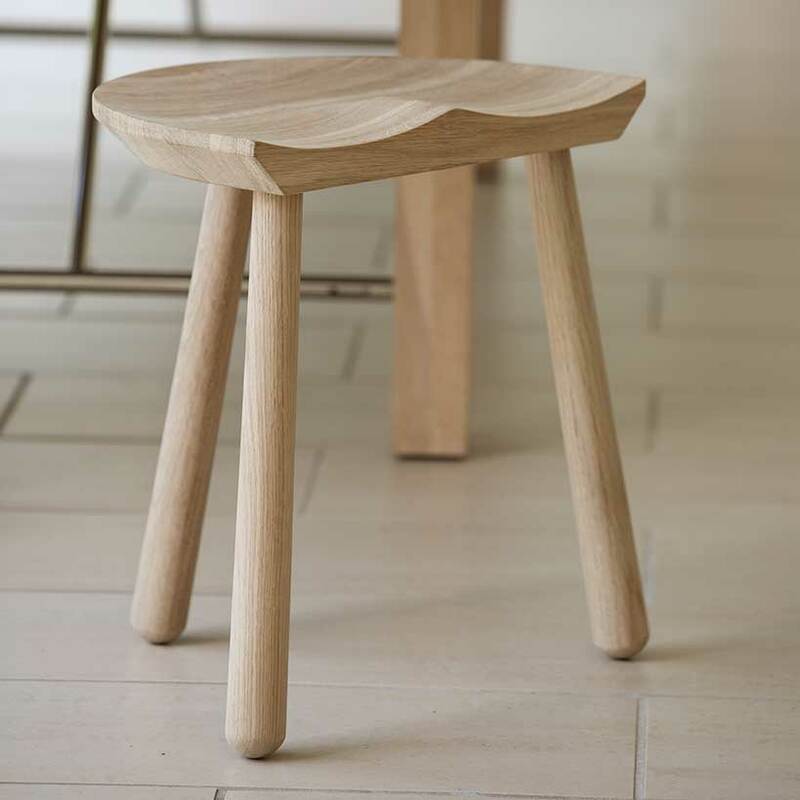 When treating for the first time, the fibres of the oak surface will rise up. This is perfectly natural and the fibres can be removed with light sandpapering (280 grit). Regular cleaning is easy with the aid of Natural Soap, which both cleanses and adds a protective layer of soap. For more thorough cleaning, we recommend Wood Cleanser. You should avoid using steel wool, as this can later give rise to discolorations. 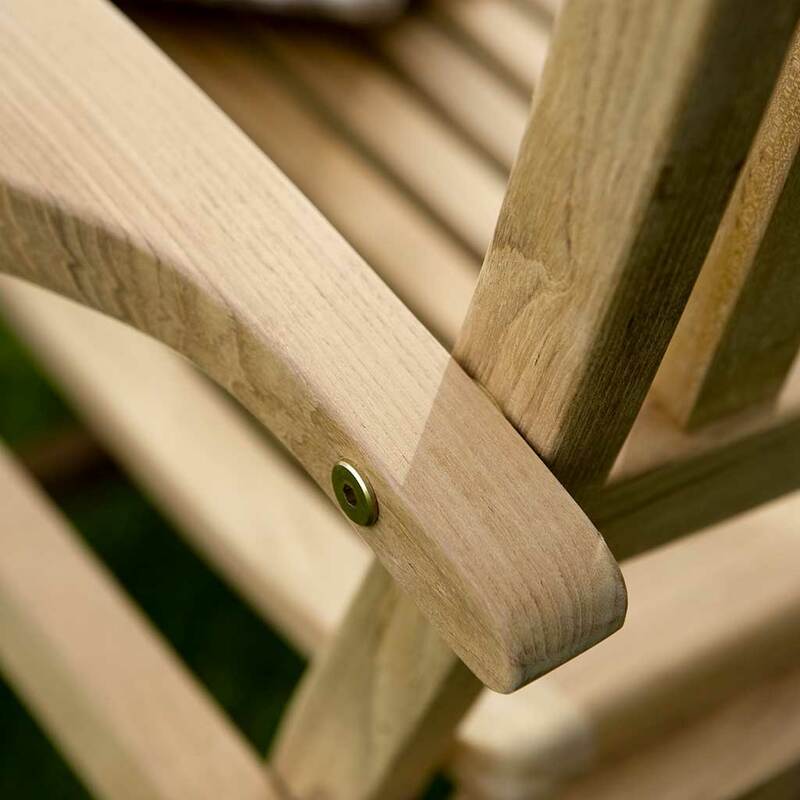 If you wish to retain the golden-brown colour of new teak we also offer a Teak Sealer. We recommend that you store your furniture in a water-tight garden shed or garage over winter. All of our black/white painted furniture designs are made of Sapelli and given a coat of our special paint, which has been developed and improved over many years. 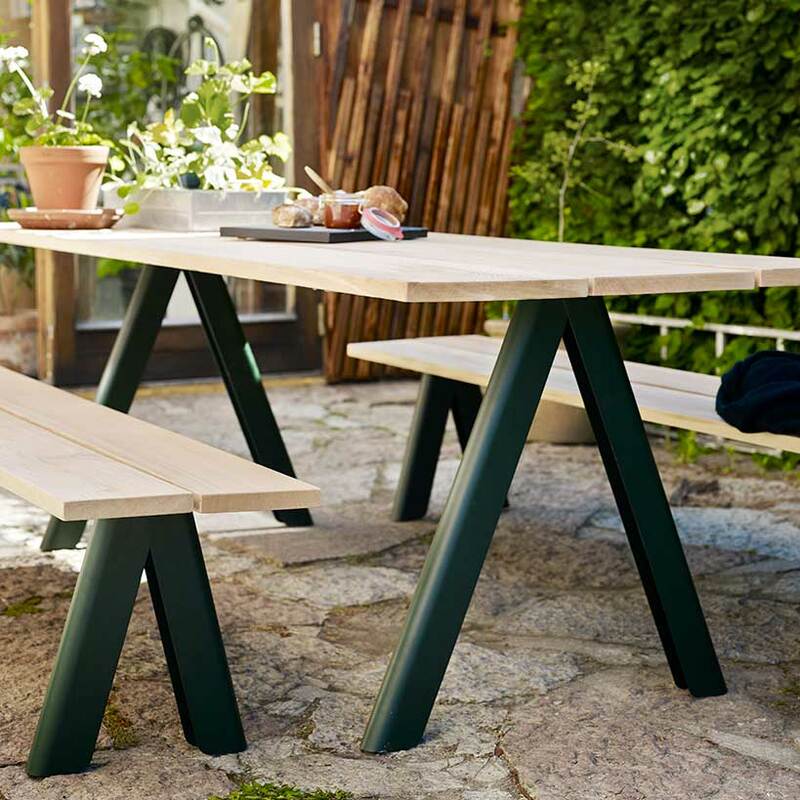 Even though the paint is extremely hardwearing and Sapelli is an incredibly stable type of wood, it is – as all other wood – a material that expands and contracts according to changes in humidity and temperature. We recommend regular cleaning with Furniture Cleanser. If the cleaning should happen to reveal small rifts or cracks in the paint, they ought to be repaired immediately with Repair Paint that is provided with the furniture. Swift repairing not only affects appearance but also prevents moisture getting under the paint surface and causing damage. Since our painted designs must not stand outdoors when there is frost, we recommend winter storage in an unheated room, such as a garage or basement room. 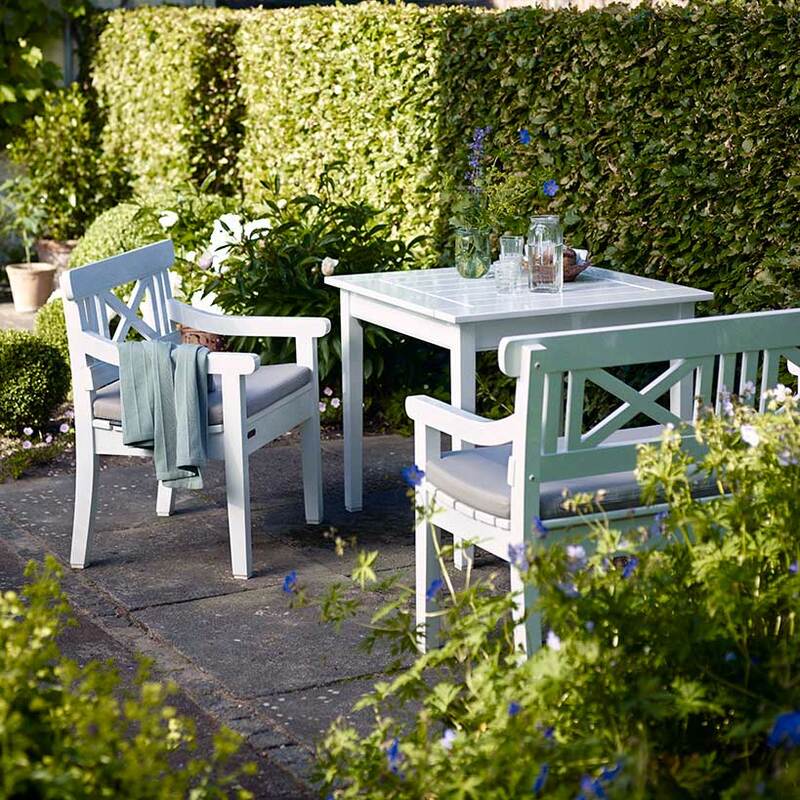 Please do not hesitate to contact us if you have any queries about maintaining your Skagerak furniture. Our contact number is 0345 605 2505, or email us at customerservices@worm.co.uk if that is what you would prefer.